ASL is an abbreviation of Application Services Library. It is a vendor-independent library for the implementation of application management. The library consists of publications on the process model for application management and a large number of best practices, white papers, articles and presentations. ASL aims to professionalize the field of application management. The standardized approach of ASL contributes to the professionalization of the application management organization and facilitates a more efficient and cost effective way of working. One of the main advantages of ASL is that it is a common terminology and reference framework for the domain of application management allowing better cooperation between the parties concerned. Since the nineties, ITIL® (IT Infrastructure Library) has been used to improve the maturity of service management processes, particularly in the area of IT infrastructure management. As it became apparent that application management had additional needs, ASL® (Application Services Library) was developed and introduced into the public domain in 2002. The library consists of publications on the process model and a large number of best practices, white papers, articles and presentations. The library is being promoted and developed by the ASL BiSL Foundation. 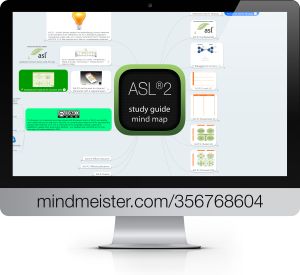 ASL is now applied in many organizations. In 2009, ASL 2 has been released. The framework has not radically changed since the first publication. The main changes in ASL 2 relate to the modified positioning of internal and external IT vendors. This change has a large impact, not so much on the process framework itself, but on how application management processes are implemented in the current and future world of IT supply and demand.